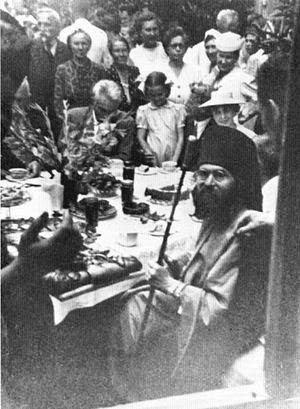 Maria Reshetnikova is the author and producer of a new documentary film on St. John (Maximovitch) of Shanghai and San Francisco. Deacon Andrei Psarev of the ROCOR Studies website interviewed Maria in honor of the 2014 celebration of the twentieth anniversary of St. John’s canonization. —Maria, the Lord so arranged that you live in a different time from Vladyka John. Nevertheless, it seems to me that you understand him very well. When I read the writings of his contemporaries—documents, letters—I get the impression that it might have been difficult for me to be a clergyman under his authority. It seems that everything he did was according to strict order—once the Liturgy began it was all hands on deck, the ship has launched, no one leaves, and everything goes according to his schedule. And the whole time, no one ever disagrees with him. It gives an impression of regimentation, of severity. He held monarchist views, and if someone saw things differently there might be a problem with him. Such an image is difficult for me. I’m interested in your comments on this impression. It seems to me that you have a feeling for Vladyka. —According to everything that I’ve read and filmed, I can answer immediately: A man for whom worldwide Orthodoxy became the most important ideal in life cannot be inflexible. He can’t fail to honor the specificities and differences among people. He wasn’t the sort of man who would have nothing to do with you if you weren’t a monarchist—not at all! He had to meet with people from completely different cultures, with different inclinations, with people who hardly new anything about Orthodoxy, or who knew nothing at all, and sometimes even with people who were against it. He succeeded in turning the souls of such people toward Orthodoxy. Even if he didn’t lead them to the Church, they at least began to understand and respect it. The fact alone that he was able to convince an American government to send representatives, including a senator, to the Philippines, to Tubabao, already says much. —Of course it happened! It is in my film. There was a married couple discussing it, who were there in the Philippines at the time. A senator from the U.S.A. really did come, and he really saw what was going on and was moved by the fact that in such primitive circumstances people were living in a completely civilized manner, and that the first thing they built was a church. Vladyka is the one who made this arrangement with the U.S. for the Russian immigrants from China. Here’s the interesting thing: You said that he was strict—and here I repeat that, yes, he was strict in upholding the canons, Orthodoxy, traditions. We must not forget why he did this, why he placed such emphasis on this. At that time, all the traditions had been destroyed in Russia. You see, if he had slackened and said, “All right, let’s conform our traditions to our present life,” there wouldn’t have been any such life. The life of the Russian immigration was successful only due to that fact that they upheld the Orthodox traditions. You know, when I was at the conference called “Russian Diaspora” and they asked me to give a speech before the film about Vladyka John, the first thing I said was, “I’m disappointed that your foundation is not called “Russian Orthodox Diaspora,” because, to a great extent, whatever you have now, all that’s been passed on to you, that you’ve held together, has come to you exclusively from the Orthodox diaspora.” Those people who left the Church have disappeared; they’ve been cut off. Nothing good has come of them. Their children don’t speak Russian—they’ve simply dissolved in the sea of other cultures. I sincerely believe that 99.9% of what has been preserved and has continued to exist has remained thanks exclusively to the Church, her canons and institutions. Music, culture, literature, history and all the rest have been gathered around the church like a bunch of grapes. However, I brought forth one example of when he granted a divorce to a married couple in Shanghai. He knew that the husband wanted to go to the Soviet Union and try living there, and that he would soon end up there. But the wife and the children nevertheless wanted to go to the Philippines. He granted them a divorce, not because the husband beat her or cheated on her, but because the wife felt differently, and she was right in this. There was no reason for her to perish. There are many such situations, you know. I’ve spoken with you before about Olga Gubin, whom he didn’t reproach with even a word. He’d raised her from a child, then he met her ten years later and she had children from two different marriages, neither of which was Orthodox. She didn’t become any less dear to him. You see? —You know, I often hear from people that they are afraid, thinking, “Look, now I’ll go to the priest and I’ll tell him about all the salad in my head—but then how will this affect his attitude toward me? How will I help in the church after that?” and so on. But a person who can scan you and see inside you will help pull all of this out of you and bring it into the proper light. Sometimes you are beginning to confess and you think “I’m telling things,” but at the same time you are whitewashing yourself, and at the end you haven’t told anything at all; you want to repent, but you don’t succeed. Lord have mercy! I’d give anything to have Vladyka scan me. You said that he was inflexible. I was sitting in a cafe in Paris with two Romanian ladies and another Russian lady. The four of us sat in the cafe drinking coffee, getting ready to meet with one other lady, Matushka Adilia. We talked ourselves hoarse over who’d read what about Vladyka John, who’d gone where, and who was getting ready to go. And I said, “Look what a wondrous thing Vladyka John is doing: Here sit four young ladies, talking not about men or some trivial thing, but rather sharing amazing stories about Vladyka John.” It’s hard to get people to do this. You might think that it could happen with eighty-five-year-old ladies, and you’d say, ”Well, you’re crying about Vladyka John because your youth was bound up with him. All the best things in your life have passed, and now you remember what for you symbolizes the years of hunger, when he saved you.” But when four young women sit drinking coffee in Paris and can’t finish talking for two hours! It’s not possible to “pretend” here. Yes, Vladyka was ascetical towards himself, but when you see the temples he built— he built temples, not churches—and when you see how he provided for his sisters, what a monastery he found for the Lesna sisterhood in Paris! When these nuns came from Palestine they’d been wandering for a whole year. No one wanted to help them. Although he’d never been to the Holy Land, when he heard about this difficult situation he immediately helped them get to France. They had practically perished. There were nine of them in all, from the Convent of St. Mary Magdalene. What happened later is interesting. They went to Lesna and lived there for some time. —Lesna in Serbia, or in London? —From Palestine they went first to France. He settled them there in Lesna because there were sufficient means, and because, where else could they get a place right away? And so, two convents where trying to coexist in the same place for a time. They didn’t combine; they existed as distinct sisterhooods, but they were in a single place. The sisters from the Palestinian region were ninety-five years old when I interviewed them, and they “skipped over”, so to speak, what didn’t work there, saying simply that, “It wasn’t meant to be.” And what did Vladyka John do? He had so much to do and so many responsibilities. He could have said. “Sisters, I’m you’re savior. You were living in a homeless shelter, and now you’re not getting it together here in an Orthodox monastery?” No. He said, “This is where you wound up, but it’s not working for you. I’ll try find you your own place.” He understood everything. He didn’t say to them, “You’re being crazy. Don’t you understand that you were feeding the lice a few months ago?” No! He understood everything. But how did he settle them? Go sometime to the Annunciation Monastery in London. He settled them as if in the bosom of Christ. It is beautiful there. He wanted them to have a beautiful place. He could have found them some decrepit house where they could live well enough, in sufficiency. But no, he wanted them to live beautifully. —What a solicitous man he was! We don’t have enough like that. Concern, of course, is not some kind of formality. He didn’t say, for example, “You have nothing to eat? Here—eat this. You have nowhere to sleep? Here—lie down.” No, He tried to understand what each one needed. But everyone needs something different. And how did he give money? Not from a place of superiority: “You’re from the Moscow Patriarchate, but I see that you are praying well.” He left money in various places. At that time they were already literally starving to death. He left money all over the place so that later they simply found it, according to their needs. —This is a monastery of the Moscow Patriarchate in Paris. 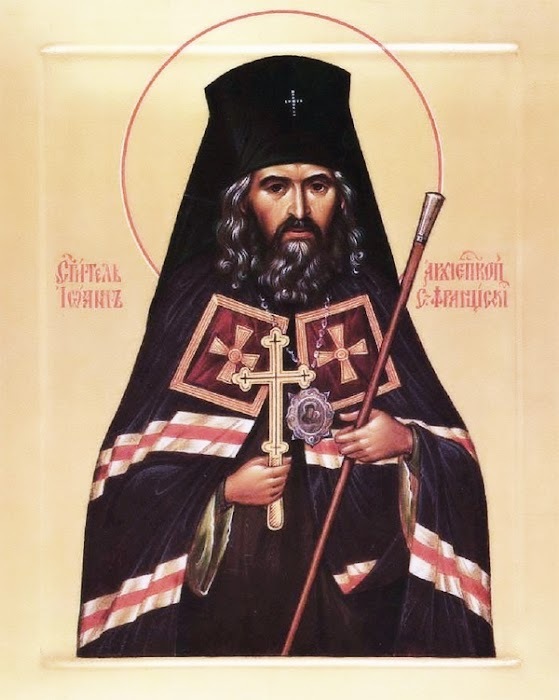 On the one hand, he really was a man of the Russian tradition, but at the same time, for some reason no one else among our hierarchs went so far beyond the borders of the Russian Church as he did. About his openness, especially, you reminded me of the future Archimandrite from Belgium. Would you tell us his story? —How [St. John] went beyond the bounds of the Russian Church?! —But he wasn’t a conservative man! Understand this in fact! He wasn’t such even for a second. When was he conservative? His whole life was utterly, absolutely… A conservative never takes risky steps; rather he goes by the book. —I was thinking of his political views. —When did he have conservative political views? Where is his conservatism? In the view that the murder of Tsar Nicholas II was different from murder of other kings? That the whole nation murdered him? This is simply true. If Emperor Paul I was strangled by a group of confidants from among the royal circles, then the guilt is theirs, the sin is theirs; the peasants didn’t take part in this. The murder of Emperor Alexander II was also accomplished by a group of revolutionaries. This also was a result of their publications, of a whole chain of causes. But they took a long time to kill the Royal Martyrs. They killed them over a year and a half. They started killing them when they were sick, by means of temperature; they came to arrest them behind the Tsar’s back. Look how they started killing them! It wasn’t some despicable peasant who did this, nor a general nor a nobleman. It wasn’t a manly step to arrest four girls with typhus, or whatever else they were sick with… Who does such things? 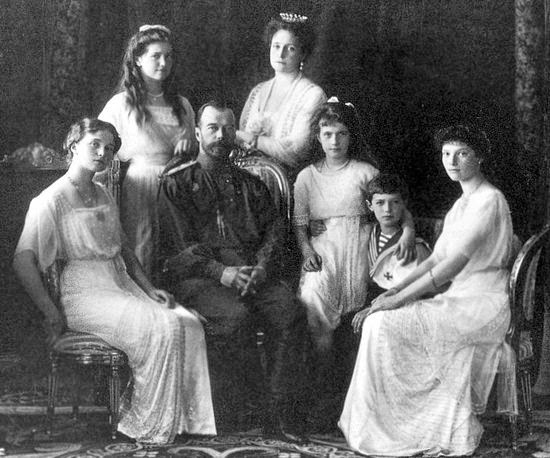 If you don’t consider him the Tsar, then at least he’s still the father of a family, and you can’t take that from him. Let him come back, then do this to his face! Behind his back you arrest his wife and his sick children! Scoundrels! So wasn’t Vladyka right? Where is the conservatism here? If you like, Vladyka was the boldest of men. No one was saying this at this time. At that time to say, “his blood is on you and your children,” was a huge step. I’ll tell you why. It’s because no on wanted to acknowledge it. They believed that it was “the Jews” who killed him, or someone else. But when they started opening the archives and talking about who signed off on all this, who did it, how the aristocracy pushed him away from themselves… If you open a pamphlet from the 1918 you’ll see that they remember the death of Kornilov—but a whole family being shot! There’s nothing about that! Read “The Spiritual Quality of the Russian Emigration,” by Vladyka John, written in 1938. —What a significant piece! In my film Fr. Sergei Overt goes into the debates that followed Vladyka John’s publication: no one supported him. Even Vladyka Anthony said, “Well, here’s brother John” (He wasn’t a bishop yet then) “He’s been threatening and has expressed himself very sharply.” You see, many people thought that he had expressed himself inappropriately about the Russian emigration. Even today many people don’t like this presentation. Do you know why? Because it’s all true; and because many people have remained this way. These words are in my film; this is a terrible prediction: if we continue to live without repentance, not to see the mistakes that we’ve made, not repenting for what has happened with Russia, then we might be obliterated from the face of the earth. These words were addressed to the Russian Church Abroad, although, in my opinion, they also relate to Russians in Russia. In the Soviet Union we also thought up a remarkable phrase, because to us, behind the iron curtain, everything here [in the West] seemed heavenly: “The best people have left.” I hate this phrase. But then, who remains? The worst? Why do we speak of ourselves this way? —Yes, there is such an attitude: that all the best have either been killed or have left, while only the descendants of the capitulators have remained. —For the first eight years [of my immigration] I was bathed in euphoria in the White emigration. And this was justified, because I’d opened up a new history for myself, which did not exist in the Soviet Union. It took me five more years to understand that my kind of ideology exists on both sides of the barricade, and the true history of what’s come to pass since 1917, or even since the beginning of the [last] century, in the First World War, and of what the betrayal of the Tsar means, etc.—lies somewhere in the middle. [I realized] that, in the big picture, a White Russian ideology also exists, and this also is a selective history, constructed according to comfort and acceptability. —But not everything can be packaged into scout-camp format. There’s a letter of Vladyka John to Reihner, where he addresses some attacks related to the White [Army] movement, and he writes one remarkable paragraph. He says, “Let’s not offend the memory of those who were ready to sacrifice their lives. Let’s honor them all the more for being people. And let’s also not insult their relatives who remain among the living. But…”—and after this “but” he goes one for three pages, in which he lays down some real talk. He says that he respects everyone, but he nevertheless speaks straightforwardly. So you say that he’s a conservative. But what kind of conservative is always going against the flow? In our life it’s simply impossible to meet someone who is both kind and active. Many are active, but they are very cruel; and many are kind, but they do nothing. The combination of kindness and activity is simply colossal. 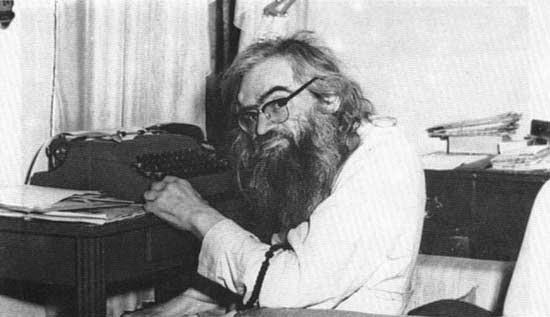 When you read about Vladyka John and you see what an active and kind man he was, you realize how fortunate it would have been to be his contemporary; he literally and physically save the lives of so many people. How many children survived thanks to him? It would certainly be impossible for anyone to calculate. Therefore in my view, Vladyka John was absolutely not a conservative. He was a man who consistently went crosswise against every situation, whenever such was needed. In a given situation, he wasn’t some sort of serene peace-lover. Of course he loved peace in the sense that he wanted to bring people together, to make peace, and to find a common language. But when a question was posed directly and it was necessary to say how things are—read any of Vladyka’s articles—he unequivocally called things by their own names. He didn’t go in for compromises, neither with himself nor with circumstances. One man wrote in his memoirs of how, when they went to Washington, there were a few meeting set up in which Vladyka was supposed to advocate for those who had remained in the Philippines. But Vladyka was always holding them up. As this young man wrote, he was praying. The young man said to him, “Vladyka, we should have been there a half-hour ago. Twelve years later, after Vladyka’s death, this man had matured and become wise. Then he understood. It had seemed to him that they were late to an important appointment. But Vladyka was conversing with God. It wasn’t because he considered himself more important. Rather at that time Vladyka was coming to the agreement right here [in his prayers]; that whatever would happen in the meeting at 4:30 or 5:00, was already being decided here, and not there. But people who lived in Vladyka’s time did not have this kind of foresight. And very few people are able to sincerely rejoice in, or to revere what they don’t understand. As a rule, whatever is beyond people’s understanding and is greater than they are, calls forth opposition, hatred, the desire to pick something into pieces, not to love it, and so on. But after a while, the wise understand what he was busy with: he was praying. Most of us pray hastily and without result. But his prayers always had results. We are still receiving their benefits today. So during these “lost” half-hours he was talking things over with God, as only he knew how to do. —I was also amazed by the story told to you by the rector of the Orthodox Monastery in Belgium, about his first meeting with Vladyka John. Could you tell about us this now? He was already teaching in the Catholic seminary, but he was becoming suspicious that everything was not quite right, and he started studying more about Orthodoxy, understanding that here was the original from which everything else had departed. He started thinking. 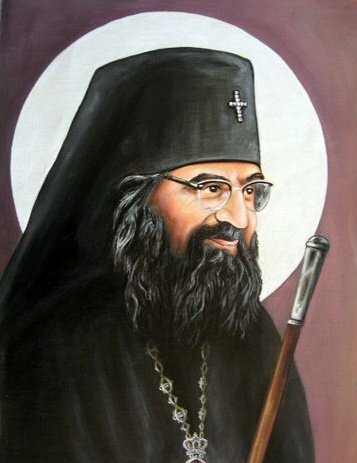 When by chance he wound up in an Orthodox monastery, saw the icon-portrait of Vladyka and recognized him, he starting asking questions and understood that this was the very same man whom he had met. Then he promised himself that he would build a monastery in honor of Vladyka John; and has indeed done this. —Thank you, Masha. What other stories about Vladyka John have moved you? What else can you share? Or is there something else you’d like to tell about Vladyka, in order to complete his image? —My son calls him “our friend John of Shanghai.” It simply happens that while I’m making a film I’m always narrating something, and then I’m off to various filming sessions. We were all living in Washington while I was filming Fr. Victor Potapov. The whole family went together to the new church dedicated to Vladyka John, near Boston. I took Vanya with me to the session, and he heard much about Vladyka John. There was a moment of crisis in our family when hurricane Sandy came. We were holed-up in our house, and our pine trees started falling down. At that moment we anointed ourselves in the form of the cross on our foreheads, with oil from the lamps in front of the icons of Vladyka John, the Mother of God, and the Savior. We prayed to all of them, including Vladyka John, asking for their help. Vanya, my son, recalls that I said to my husband, “You anoint me just this once, and I’ll anoint all of you forever,” and my husband said in English, “In the name of God, Father, Son and Holy Spirit.” At that moment all the pine trees fell. We heard a frightening thunderclap, but we finished anointing ourselves and, in that state—in our pajamas with an icon of Vladyka John, we ran looking for shelter, stumbling over six streets with fallen trees. It was a terrible scene, like in a film, really! Vanya is firmly convinced that Vladyka John saved us. Of course, it was the Lord God; but insofar as it was Christ … He is so great; to feel God to be very near. There are such moments, and one wants to hold onto them. These are very special moments. Perhaps I’m speaking primitively, like an uneducated person, but Vladyka John helps make the Lord God present to us. Do you understand? He helps us to understand that all of this is real. This does so much for us who haven’t gone to seminary. It makes Him intelligible, understandable, present. It’s very spiritual. —Those who haven’t completed seminary have many advantages over those who have. —We should share them! Those who have finished seminary have their own advantages, and those who haven’t have theirs. We need a radio broadcast where we could exchange our advantages. —I very much hope that this radio broadcast will come to be, and what we’re doing now is already a step in the direction of what could be discussed on such a radio program. Thank you! But why am I saying all this? I met one person who took out an icon of St John and told me that St. John helped him write a Hollywood screenplay. I don’t want to judge him, but I consider this a dangerous tendency. There are so many newspapers talking about “healers” now in Russia, and while intelligent people pay no attention to them, others might put St. John down in their list of healers to go to in case of sickness. —It was actually compiled by an Orthodox Frenchman. —Yes. Nevertheless, as you see, he spent his time on it. It’s finally gotten into people’s heads that it’s enough to drink whatever will make you better. Let’s finally learn what this man lived for! He healed us so that we would understand the infinite power the Lord God has. He didn’t heal by his own power. How was it that the blind began to see when Christ walked on earth? Of course it’s good that he can see now, but I don’t think that it was done just for that end. It was done so that the “doubting Thomases” should see that such things are possible. And, if He can do this, imagine what else he is capable of! Once Sister Rachael [of Novodiveevo] said something very moving to me. She asked, “What’s God’s greatest miracle?” I said, “Certainly, when a person is born.” “No,” she said, “When a person changes.” Vladyka John had this ability: he changed people. I know people who changed themselves and their lives without ever having met him alive, who only became acquainted with him after his death. I want to say that this is precisely his influence. Because all physical healings—ulcers, healing of the kidneys so forth—this all good, but it’s secondary. —Thank you, Masha. I wish success in the completion of your film, and I’m glad that you take this view. —Vladyka really brings people together. He really can do this. He is a peacemaker! —Particularly, it’s the case, as you’ve said, that even people who did not accept our [the Russian Church Abroad’s] union with the Moscow Patriarchate nevertheless have received you, as if Vladyka John had sent you. And people who aren’t in communion with our Church have shown you love and hospitality in Paris. This is a powerful moment, as they’ve warmly received you and gladly helped you. Thank you. This entry was posted in Library, Orthodox Faith and Life, Church School. Bookmark the permalink.